When you have two choices of current switches to install on a variety of motors, which do you choose: a fixed set-point or an adjustable set-point switch? 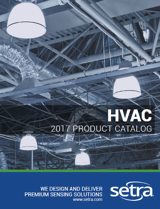 In order to compare fixed and adjustable, safety, inventory, and installation time will be examined to find the best switch for any application. The fixed set-point switch allows for increased safety during installation, removing the chance of of dealing with an arc flash incident in live circuit. One issue with the fixed set-point switch is that you don't know the horsepower of each motor, forcing you to carry a variety of fixed set-point switches around. This kind of inventory can be costly and inconvenient for an installer. The adjustable set-point switch is flexible enough to be used on a variety of different powered motors, eliminating excess inventory. With the convenience comes a safety issue with the potential of experiencing an arc flash hazard. A PPE (Personal Protective Equipment) Suit is required while installing the adjustable current switch, because of the direct contact with an energized circuit. Unit recently, these were the only two options for controls contractors; however a recent innovation from Setra will change the way controls contractors can purchase and install current switches. Setra's Sure-Set Split Core Current Switch (Model SSC) offers all of the same cost savings associated with the adjustable current switch without compromising the safety of the installer. Each Sure-Set has nine pre-configured set-points, allowing the installer to safely match the settings of the switch to the rating of the motor and complete the installation on a cold circuit, eliminating the need to make any adjustments in the vicinity of a live enclosure. 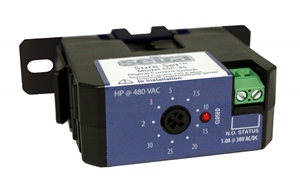 The Sure-Set is the answer to the problems of every controls contractor. Not only does it solve your inventory and safety issues, you can also save time on installation because there is no need to wear a PPE suit. The Sure-Set is a contractor's best opportunity to save money on installation, inventory, and safety. Ditch the suit, cut your install time and put the savings back in your wallet. CLICK HERE to learn more about Setra's current switches.